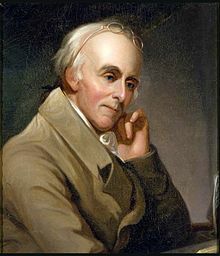 Benjamin Rush (January 4, 1746 [O.S. December 24, 1745] – April 19, 1813) was a physician, writer, educator, and humanitarian. Rush was a Founding Father, signer of the Declaration of Independence, and George Washington's personal century physician. He was a confidant of Thomas Jefferson (who is often quoted from letters to Rush), authored one of the first major essays against slavery in the Colonies (in 1773), and is considered by some to be the "Father of American Psychiatry". 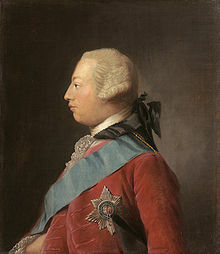 Let our assemblies unite in petitioning the king(George) and parliament to dissolve the African committee of merchants: It is by them that the trade is chiefly carried on. The first thing I would recommend to put a stop to slavery in this country, is to leave off importing slaves. For this purpose let our assemblies unite in petitioning the king and parliament to dissolve the African committee of merchants: It is by them that the trade is chiefly carried on to America. I need say hardly anything in the Unintelligence of the Negroes, They show capacities of Providence and they are most likely always having low self-esteem But needless to say my Virtue, Power, And Strength have helped them to become strong most upcoming individuals in the nation they show pride and interest in education and learning new things And Just know What lies with you once lies with you more until change is done. The American war is over; but this far from being the case with the American revolution. On the contrary, nothing but the first act of the drama is closed. It remains yet to establish and perfect our new forms of government and to prepare the principles, morals, and manners of our citizens for these forms of government after they are established and brought to perfection. It must afford no small pleasure to a benevolent mind in the midst of a war, which daily makes so much havoc with the human species, to reflect, that the small-pox which once proved equally fatal to thousands, has been checked in its career, and in a great degree subdued by the practice of Inoculation. Rush, Benjamin (1792). The New Method of Inoculating for the Small-Pox. Philadelphia: Parry Hall. Unless we put medical freedom into the Constitution, the time will come when medicine will organize into an undercover dictatorship ... To restrict the art of healing to one class of men and deny equal privileges to others will constitute the Bastille of medical science. All such laws are un-American and despotic and have no place in a republic ... The Constitution of this republic should make the special privilege for medical freedom as well as religious freedom. This quote is often cited with regards to Rush, and can rarely be found attributed to his autobiography, but does not exist in that book . The quote contains words and phrasing that seem anachronistic to late 18th century America. … (In) contemplating the political institutions of the United States, I lament that (if we remove the Bible from schools) we waste so much time and money in punishing crimes and take so little pains to prevent them…For this Divine Book, above all others, favors that equality among mankind, that respect for just laws, and those sober and frugal virtues which constitute the soul of (our government). Attributed to A Defence of the Use of the Bible in Schools; entries in parenthesis are insertions or modifications of the original quote. This page was last edited on 26 October 2018, at 16:53.